Caravan Next. 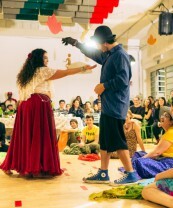 Feed the Future is a European project about Social and Community Theatre and audience development, which won the Creative Europe tender in 2015, and which include 40 cultural events in different European cities and 5 events in the United States, Morocco, Uruguay, Taiwan and Australia. The events will involve local communities on a common theme: European challenges of the Third Millenium. 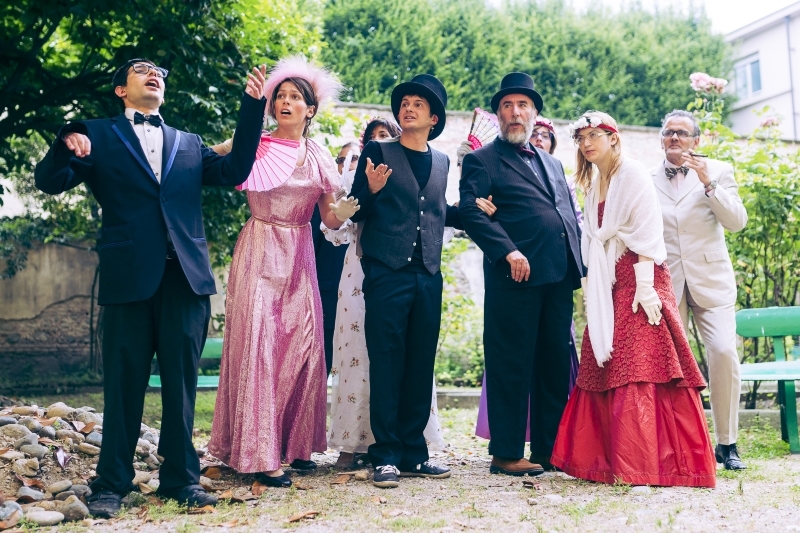 The project, lasting 42 months, is designed by the Social Community Theatre Centre | UniTo (project supervision) and by Odin Teatret (Lead Partner), along with 11 other European partners. The project partners will work together both in its territory and with artistic exchanges in the other countries involved. In Turin The first Macro event will be held in Turin from May 26th to June 1st, 2016. It will be realised by the Social Community Theatre Centre in collaboration with numerous local partners. 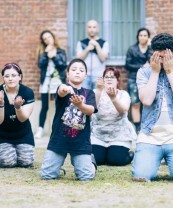 The project is led by the Social Community Theatre Centre | Unito. The OGR-CRT Consortium takes care of the event’s communication. 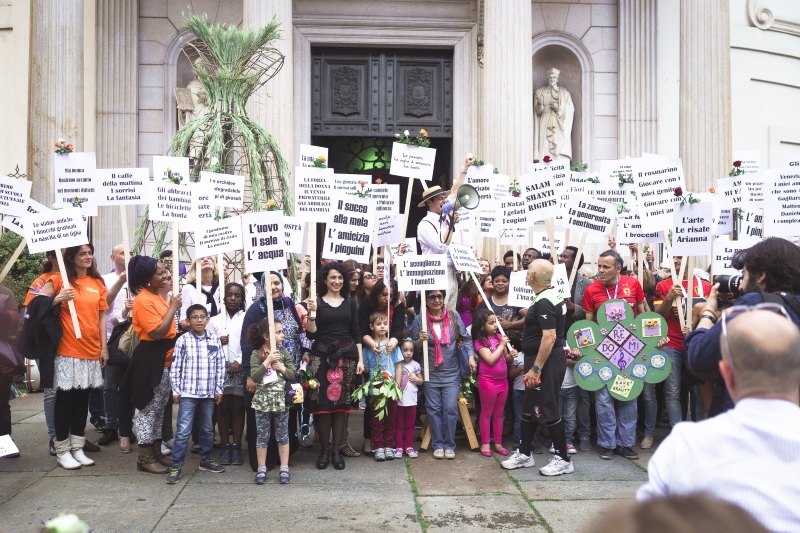 The Opera Barolo and S-Nodi associations have important roles and have promoted the Caravan Next activities in Turin. Methodology and Theme. The theme chosen for the event in Turin is “Saving The Beauty”, inspired by Dostoevsky’s famous phrase “Beauty will save the world.” It will be a reflection on how and in what way the beauty and its preservation can be a challenge for the new millennium. 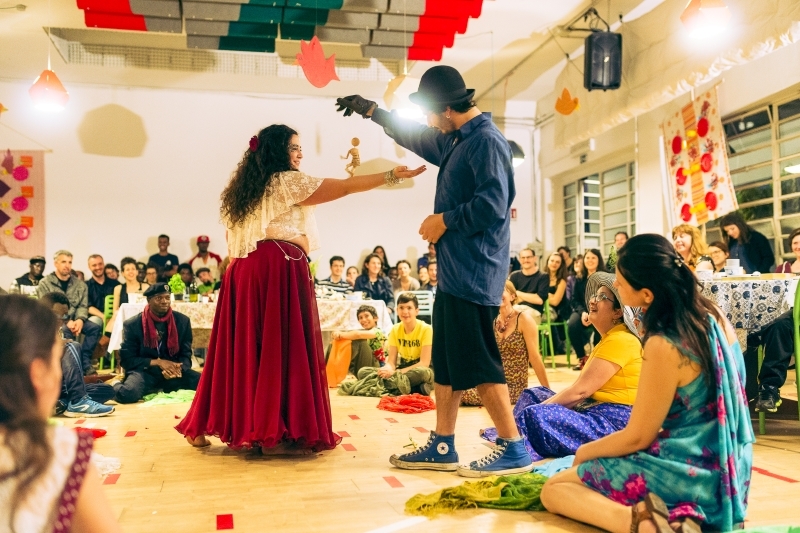 Since September 2015 the Caravan Next team has been organising laboratories, community festivals and artistic creations involving organisations, residents and local multi-ethnic communities. The aim is to strengthen social bond between the district and its inhabitants involved in the project. The project would like to help the local community tell its story and get the inhabitants to network with each other, moving away from anonymity and solitude. The Community actions. 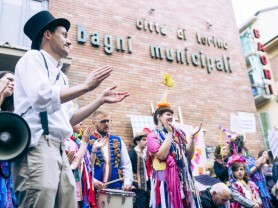 The activities from September 2015 to May 2016 has been taking place in two locations in Turin: Opera Barolo— Social District and Via Baltea | Laboratori di Barriera. Both are located in Circoscrizione 6 and 7 and despite the diversity of their history and their inhabitants, they have been facing the same problems, such as poverty and unemployment, and the same attempts to solve them through home help and assistance projects. The SCT Centre team, has enabled creative paths of social and community theatre involving different players active in the territory. The purpose is to illustrate the activities to the district’s population, building relationships and generating partnerships. 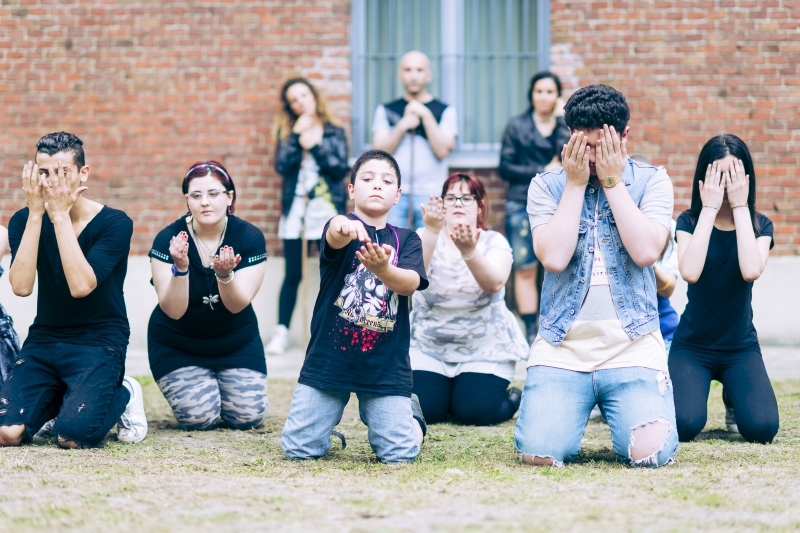 In particular, the weekly workshops held by SCT operators, singers, dancers and set designers, are open to the community and involves teenagers, children, migrant women, college students, young artists and local residents. During the workshops participants are involved in the realization of performances, artistic acts related to the theme of beauty and how they could be preserved for the future. In addition, a group of actors and professional playwrights interview the residents and the representatives of local organizations collecting their stories: The intent is to create performances, based on these stories, to show during the Festival. 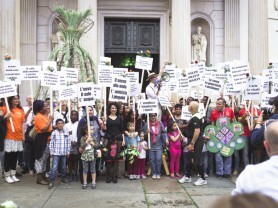 The “Saving Beauty” Festival. It will take place in Turin from May 26th to June 1st 2016. It will give life to a huge show/party, created thanks to the active participation of the citizens involved in the workshops. 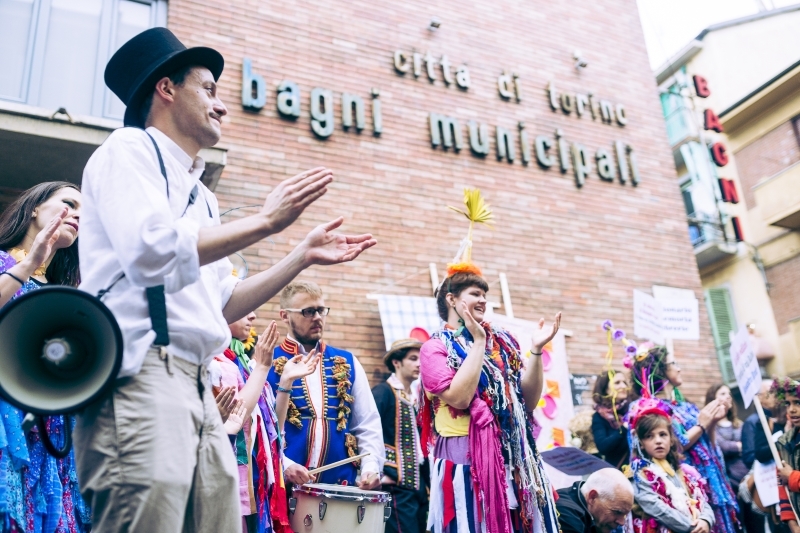 It will be a big party open to the city with parades, performances, moments of reflection which will tell the audience about the path made during the year with people and organisations who live in the social districts Barolo and Barriera di Milano. The events will take place in these locations. The Barolo social District will be open to the public for the first time. A grand parade will be held on the Opening Day, on May 26th. In Barriera di Milano district in collaboration with the organization S-Nodi, high school students, young second-generation immigrants, women and inhabitants as well as artistic associations working in Via Baltea, will be involved to prepare a great community event in Piazza Foroni on the evening of May 29th. 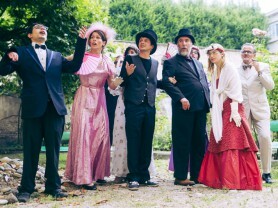 The stories of the neighborhood and the people living in the district which has been collected during the previous months of work, will converge in two theatrical plays on May 30th and 31st in Via Baltea 3. LOCAL PARTNERS. 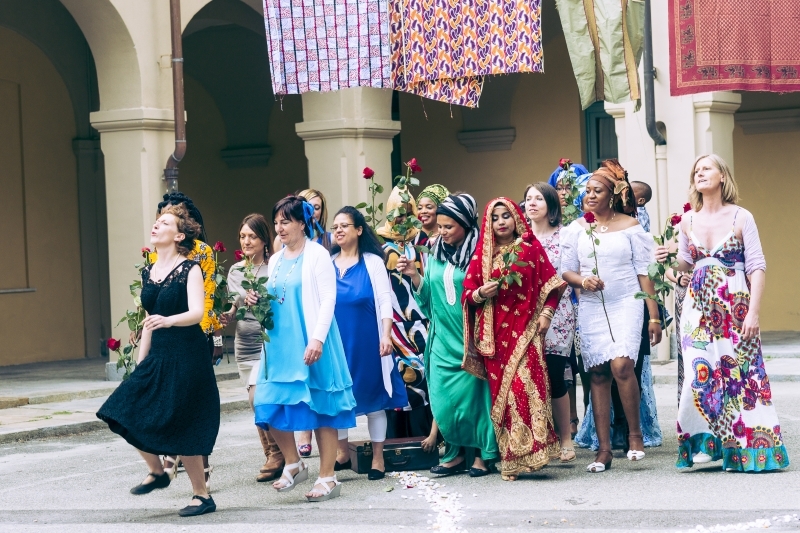 AGAPE – ASAI – ATELIER HERITAGE – ATELIER TEATRO FISICO PHILIP RADICE – ATMO – BAGNI PUBBLICI VIA AGLIÈ – BAOBAB COUTURE – CAMMINARE INSIEME – CASA CILLA – CASA DEGLI ALFIERI – CISV – COMITATO URBAN BARRIERA – COMPAGNIA TEATRALE ASSAIASAI – G. ACCOMAZZI S.C.S. – COOP. 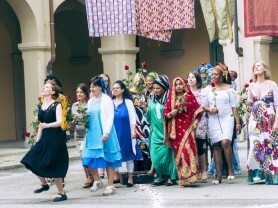 MIRAFIORI – COSTRUIRE BELLEZZA – CUCINA DI COMUNITÀ – FABULA RASA – FILIERADARTE – GRUPPI DI DANZA “TERNYPE DANCE” “TRIBAL DANCE” – HOUSING GIULIA – ISTITUTO SANTA MARIA MADDALENA – FA BENE – FONDAZIONE DON MARIO OPERTI – FONDAZIONE TANCREDI DI BAROLO – LABORATORIO DI CESTI DI VIA BALTEA – LABORATORIO DI FALEGNAMERIA DI VIA BALTEA – MELARANCIO – ORCHESTRA INTERNAZIONALE PEQUENAS HUELLAS – PENSARE CON LODE – POP ECONOMIX – PRESIDIO ARTISTICO CIRCOLARE – RADIO BANDA LARGA – SCUOLA BAROLO DI ALTESSANO – SUMISURA | LABORATORI DI BARRIERA – TEATRO POPOLARE EUROPEO – UFFICIO PASTORALE MIGRANTI – JAZZ SCHOOL TORINO. Artisti Internazionali e Ospiti: Massimo Barzagli, Marco Serrecchia (IT); Giuseppe Bonifati, Stefan Tarabini, Frans Winther (DK), Simon Bronikowski (D), Karolina Spaic, Daan Bosch, Sebo Bakker (NL), Daniel Jacewicz e Jennifer Crissey (PL), Juana Casado e Elena Amada Aliaga (SP). Un ringraziamento speciale a Alessandro Pontremoli (Task Manager Caravan Next -Dipartimento di Studi Umanistici Università di Torino).